Our family profession is Law last 50 years. My grand father was advocate and now my father is still an advocate he is also expert in high flyer Kabutar (pigeon). He is continuing his interest last 40 years.I established this web site with my younger brother Nadeem Ullah.Now He is working, launching,maintaining this site. 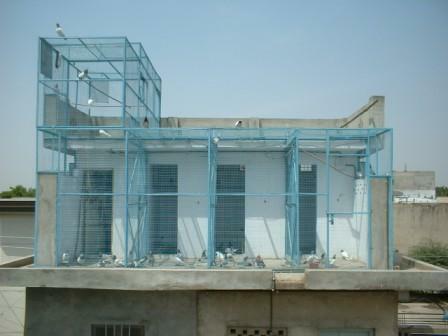 This is the first and comprehensive site on Aseel Kabutar*(Pigeon) and also first Aseel Kabutar site from PAKISTAN.The main purpose of this site is espically introduce of Aseel (high flyer/tippler) pigeon in our country and whole sub-continent.And provide a good and scientific information about health,breeding,Aseel pigeon. THANKS FOR YOUR GREAT ATTENTION! * Kabutar is word of Urdu language and in English Kabutar mean Pigeon. * Aseel mean pure. This word is use in urdu and arabic language. and i ve very good strains of Aseel or High flyer piegons .